Product prices and availability are accurate as of 2019-04-20 22:00:52 EDT and are subject to change. Any price and availability information displayed on http://www.amazon.com/ at the time of purchase will apply to the purchase of this product. The Restaurant Business Plan is a comprehensive document that you can use for raising capital from a bank or an investor. This document has fully automated 3 year financials, complete industry research, and a fully automated table of contents. The template also features full documentation that will help you through the business planning process. This is a full and complete business plan with original research, financial models, and marketing/advertising plans that are specific for a Restaurant! Since 2005, BizPlanDB and its parent company have helped raise more than $100,000,000 through its developed plans. 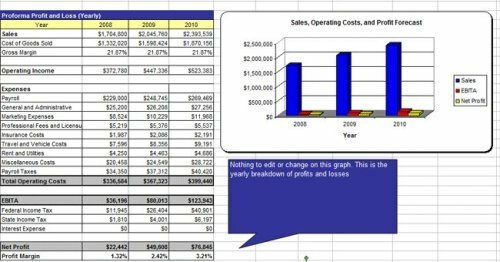 Easy to Use Three Year MS Excel Financial Model 9 Chatper Business Plan Specific for a Restaurant with Automated Table of Contents Free PowerPoint Presentation for Banks/Investors! Free Sample Private Placement Memorandum Same Day Shipping!